Going to bed and getting a good night's sleep is about to get a whole lot more high tech with the Luna smart mattress cover, which has just smashed its Indiegogo crowd funding goal. 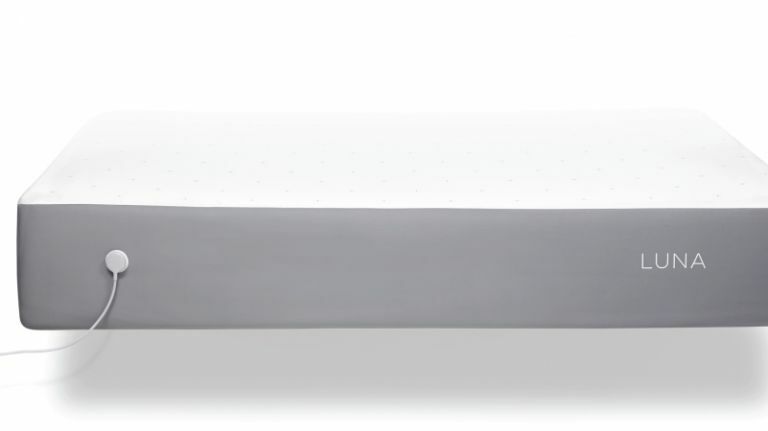 Simply slipping on the Luna mattress cover will allow your bed to track your sleep and alter its temperature. This electric blanket with brains does a lot more than just keep you toasty at night. Sensors included in the mattress cover can track the quality of your sleep and identify the different sleep phases as well as measure your heart rate and breathing rate. This information is then relayed to you to let you know how you sleep. It's a far less creepy way than paying someone to watch you while you doze. A built-in alarm can wake you when you're at the right moment of light sleep, so you don't interrupt your sleep cycle and wake up feeling groggy. The Luna mobile app will apparently give you control over your smart mattress, and if you want to use it as a good old fashioned electric blanket (albeit a rather expensive one) you can do that as well. Although the goal has been surpassed, you can still help fund the production of the Luna, with a pledge of $179 getting you a full size mattress cover and app. Think the art of sleeping is simply putting your head on a pillow and closing your eyes? Think again, as we now have loads of technology that will not only overly complicate the once simple process of nodding off, but can also give us some genuinely helpful advice on getting a better night's sleep. Is it an alarm? Is it a light? It's a bit of both. This small ball sits in your room and measures the ambient environment of your bedroom, including noise, light, temperature and even particles in the air. This information is combined with data regarding your sleeping patterns to help you get a good night's sleep. The mobile app rates each sleep and lets you know the next day how well you slept, and what you can do to improve it. Ever wanted to pretend you're an extra on Star Trek the Next Generation while simultaneously collecting information about the way you sleep? Who doesn't? The Withing Aura does just this by combining a sleep sensor that tucks under your mattress, an "active light and sound" bedside device and a smartphone app, all while looking like something out of the fevered dreams of Gene Roddenberry.